Contemporary high-octane Mexican fiddling! The Villalobos Brothers (Ernesto, Alberto, and Luis) use their violins and voices to redefine contemporary Mexican music. 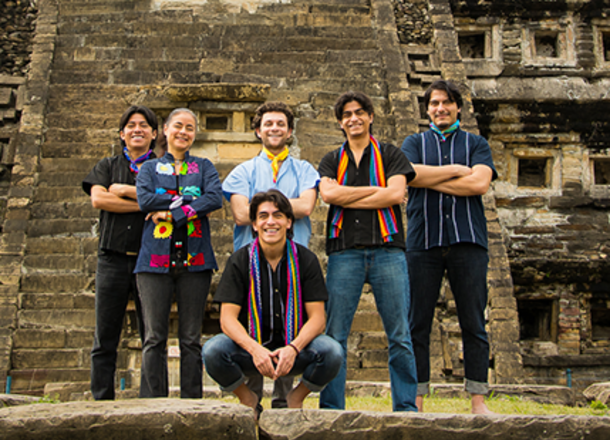 Their original compositions masterfully blend elements of jazz, rock, classical, and Mexican folk to deliver a powerful message of love, brotherhood, and social justice. Artistic Director and guitarist Humberto Flores, drummer Rosa Avila, and bassist Leo Sherman complete the line-up.